Why is it important to have a Holiday Calculator Template? It is a legal requirement to provide your employees with, at the very minimum, 28 days holiday per year (this is inclusive of the 8 Bank Holidays per year). Our Holiday Calculator will provide you with an easy to use format in order to calculate your employees exact holiday entitlement. Every employee is entitled to holiday entitlement, with the statutory minimum currently being 28 days per year (5.6 weeks). IT sounds simple, but how are you planning on managing and keeping track of your Employees Holidays and their requests?The Holiday Package contains two documents that make it easier to deal with your employees holiday requests and also a calculator that will work out the pro rata entitlements for part time workers and those on fixed term contracts. 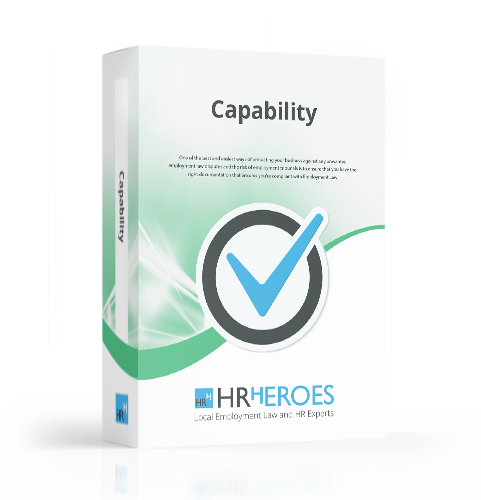 Getting the holiday entitlement right is vitally important as it is a legal obligation that you must follow, therefore why not make it a bit easier for yourself by buying the HR Heroes Holiday package. If you want to know more about how to manage the Employee Holiday process, give one of our experts a call who will be happy to help you!